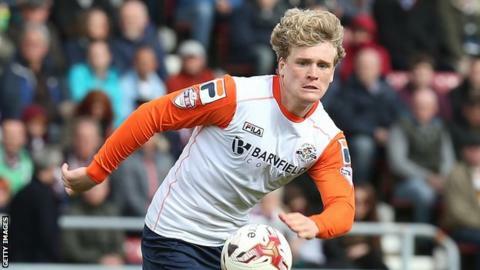 Barnsley have signed midfielder Cameron McGeehan from League Two club Luton Town for an undisclosed fee. The 22-year-old began his career at Chelsea before moving on to Norwich City, who he captained to FA Youth Cup success in 2013. He is Barnsley's fourth summer signing, following the arrival of Stevie Mallan, Jason McCarthy and Liam Lindsay. "He has got a lot of experience in the game for someone so young and has already proved willing to relocate to better himself, so he will fit right in here. His energy and eagerness to learn will make him a valuable asset to the side," head coach Paul Heckingbottom told the club website. "This one worked out to be a good deal for the club, for Cameron and for the squad moving forward," he told told the Hatters website.